Hello, I’m Kevin McDonnell, your local behaviour therapist of Bark Busters Home Dog Training Newton Abbot and surrounding area. I’m on hand to help you with any behaviour issues you may be experiencing with your dog, using an easy-to-learn system of communication. I feel very privileged to work in this beautiful part of the UK. Travelling around Devon, meeting lovely people and their fabulous dogs is a job that many people would love. I’ve been training dogs here in the UK for over four years and I love it. 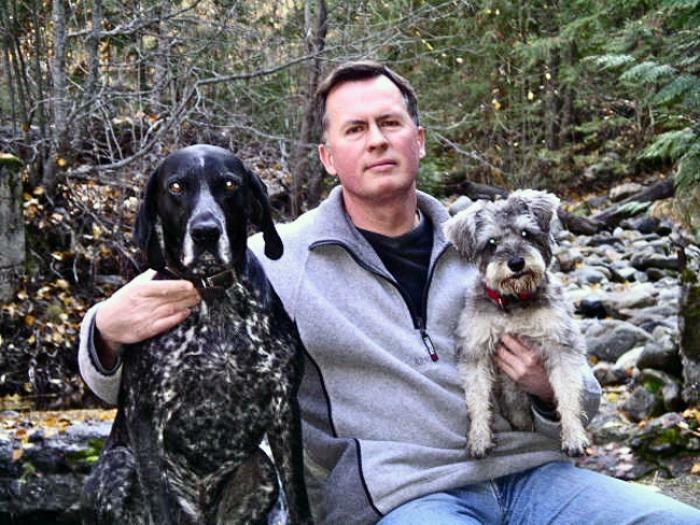 Before moving back to the UK, I was a Bark Busters therapist in Canada for over 5 years. Aside from the fact that I enjoy getting to meet amazing, characterful dogs every day, I thoroughly enjoy the work I do, teaching dog owners like you how to communicate effectively with their dogs. I teach a training programme to help you to build a better relationship with your dog, and eliminate the behavioural issues that are causing you, and probably your dog, stress. Whether your dog barks, digs up the garden, has separation anxiety, toilets in the house, or won’t walk nicely on a lead, I can help you. What is more, I can still help if he does a combination of these things, or shows aggression to strangers, aggression to other dogs, or to his siblings (sibling rivalry), or if he simply ignores you completely when you try to recall him. These issues very often arise from a breakdown in communication between you the owner and your dog, and once we fix that, everything begins to fall into place. The training I will teach you is based on canine communication, and will allow you to learn how to communicate clearly with your dog because you will be using systems of voice tone and body language that he understands. By learning this kind, fast and effective system, you will learn how to show calm and consistent leadership, so that your dog understands what you are trying to communicate. The training is delivered at your home in a one-to-one training session that will last around 3 hours. The time flies by as you enjoy learning the new communication techniques that I will show you, and once you understand the theory behind the training, it will all make perfect sense. Plus, most people find that they start to see a difference in their dog’s behaviour during the lesson, and that makes the effort worthwhile. I will leave you with a clear vision of the way forward, together with a written training plan and lots of literature to help you to practice the training. Should you need any further help from me after the session, you can contact me for as long as you need me. I have trained 1,000's of dogs, and have built a reputation for delivering fantastic results, and great customer service. This means that I am often referred by vets and other animal professionals. 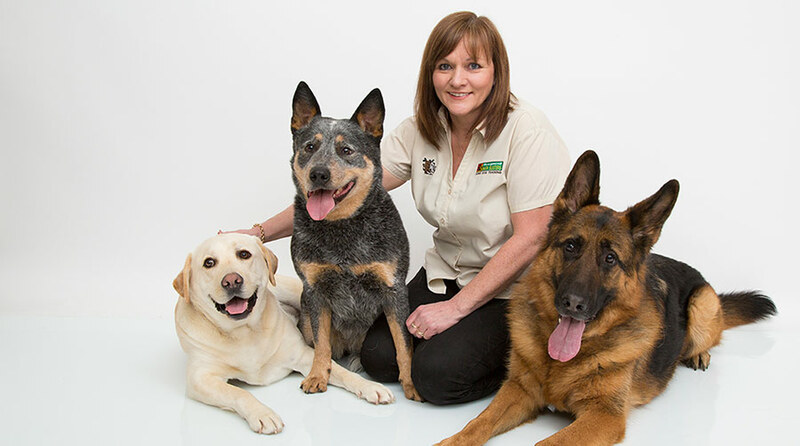 So, I am confident that, together, we can resolve any behaviour issues you are experiencing with your dog and rebuild your loving relationship with him. Before you decide to book a visit from me, I will ring you for a free, no-obligation telephone consultation where we will discuss your dog’s issues and how best to resolve them. You can then be sure that I am the right trainer and behaviour therapist for you.